The United States of America have been celebrating the Memorial Day for years now. It is a touching ritual to remember the veterans who sacrificed their lives to save their country and people. The Memorial Day has been one of the most cherished patriotic occasions where the memorials of veterans are visited with pride in the heart. Do you believe that soldiers are the only veterans? All through the years of wars, dogs have been the most trusted companions of military and soldiers. Along with the warriors, these furry friends have marked their footprints on the memorials. To complement and appreciate the courage of our four-legged soldiers, CanadaVetExpress is announcing a huge sale of 15% on all the pet supplies. CanadaVetExpress is a dependable online seller that offers a number of branded pet supplies on discounted and affordable prices for a many years now. It is one of the most appreciated sites by the pet parents who enjoy shopping over here. CVE has a vast range of products in the following categories for cats and dogs: Flea and tick treatments, Heartwormers, Wormers, Joint Care, wound repair, Arthritis, Nutritional supplements, etc. 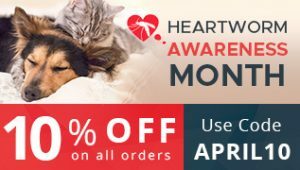 With this Memorial Day sale, the team of CanadaVetExpress wants to reach the maximum number of pet parents to contribute to the health of these brave four legged companions. It is a “must have a look” kind of a sale with a big 15% cut on the already discounted prices. Planning not to have a look at the site? May be you are at a big loss! CanadaVetExpress is known for its discounted prices among pet parents. If you miss the Memorial Day sale, you will let the most enticing opportunity of buying pet supplies at ultimate cheap rates. It is a site wide discount. Yes! Some sellers may offer you discounts in some categories or may fix you with the condition “get _% off on the min. bill of_! But, at CVE you can get a 15% discount on the smallest order. So, are you ready to celebrate the Memorial Day with CanadaVetExpress? Enjoy shopping for your courageous friends with CVE and get a 15% on any order. A bow to the soldiers and furry warriors that helped the nation to be what it is! NEXT POST Next post: Jealousy in dogs- Let’s dissect the reasons!